India captain Virat Kohli urged the current crop of colt cricketers to respect the opportunity that they are getting. He knows the value that a platform like ICC U-19 World Cup provides and no wonder India captain Virat Kohli urged the current crop of colt cricketers to “respect the opportunity” that they are getting. The Prithvi Shaw-led team, coached by Rahul Dravid, will be vying for top honours in the fortnight long tournament in New Zealand starting January 13. “The ICC U-19 World Cup was a very important milestone in my career. It helped us get a good platform to build on and make our careers from thereon, so it holds a very important place in my mind and heart. It’s very important to understand and respect the opportunity it provides you,” Kohli was quoted as saying in an ICC media release. 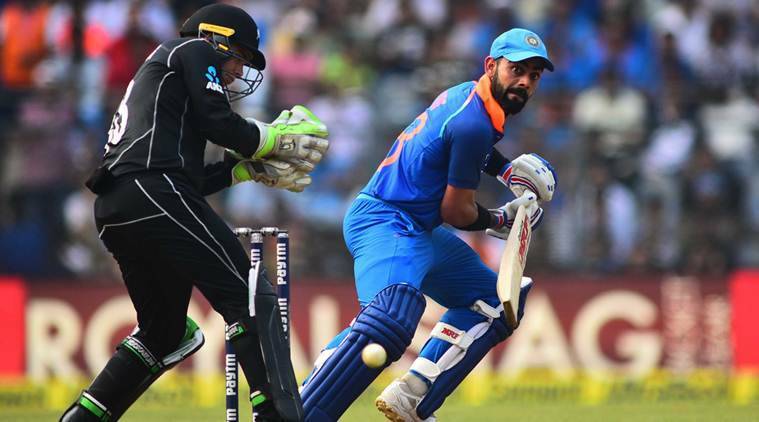 Kohli, who led India colts to global triumph in 2008, recalled his duel with Kane Williamson, who was leading New Zealand in the tournament. In fact, India beat New Zealand in the semi-final. “I remember playing against Kane. He was someone who always stood out in the team, his batting ability was very different from the other players who were around,” Kohli recollected. The New Zealand skipper feels that since the U-19 World Cup happens once in every two years, youngsters should grab the opportunity as there are no guarantees how many will go onto play the senior World Cup that happens once in four years. “You don’t get many opportunities to play World Cups, obviously at the top level – it is once every four years, if you are fortunate enough to be involved.